NSO Nominated for "Space Oscar"
The National Schools Observatory (NSO) has been nominated for a "Sir Arthur Clarke Award" in the category for "Outreach Award for the Public Promotion of Space". The award	ceremony will be held during the 2008 UK Space Conference on 29th March in Godalming, Surrey. The conference involves 300 participants from around the world who have come to discuss the past, present and future of the UK's involvement in space research and exploration. The "Arthurs" have become recognised as the space equivalent of the Oscars. They provide recognition and pay tribute to those who have worked for the advancement of space exploration. Nominations are submitted by the public, and the winners are voted for by representatives of the space industry, research institutions & universities, and space-related organisations. Nominees for other categories in the 2008 awards include Sir Richard Branson (in the categories "Best Individual Achievement" and "Space Entrepreneur") and Stephen Hawking ("Inspiration Award"). 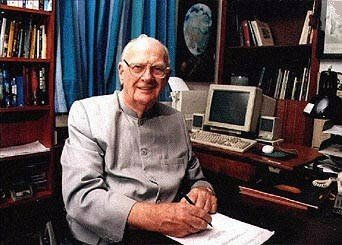 Sir Arthur C Clarke himself was a British-born writer of science fiction and fact who lived in Sri Lanka. Of the dozens of articles and stories he wrote, he is debatably most famous for developing the screenplay of the film "2001: A Space Odyssey" with Stanley Kubrick, while simultaneously writing a novel closely based on the same story. He died on 19th March 2008, aged 90.